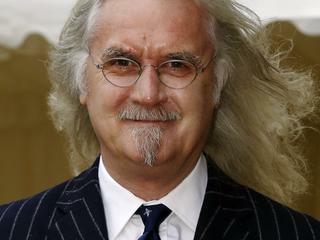 The Scottish comedian and actor Billy Connolly (76) Saturday apologized for an interview with the BBC, in which he said his life feel “slipping”. Connolly spoke last year with the British broadcasting company for the documentary Billy Connolly: Made In Scotland about his life with Parkinson’s disease. The documentary last week broadcast and attracted millions of viewers. Many fans of the comedian voiced after the broadcast on social media their shock and sorrow about his statements. The wife of the comedian, Pamela Stephenson, posted on Saturday a video on Twitter in which Connolly is a banjo playing and says: “Not dead, not dying, not by slipping”. The comedian, who is a British was awarded and, in the U.s. state of Florida resident, was in 2003 diagnosed with Parkinson’s. Connolly is – in addition to his career as one of the most successful stand-up comedians in the world – known from his role in the film Mrs. Brown (1997), in which he was a BAFTA-nomination in the awards. One of his most recent roles was that of seven Daín II in The Hobbit: The Battle of The Five Armies.